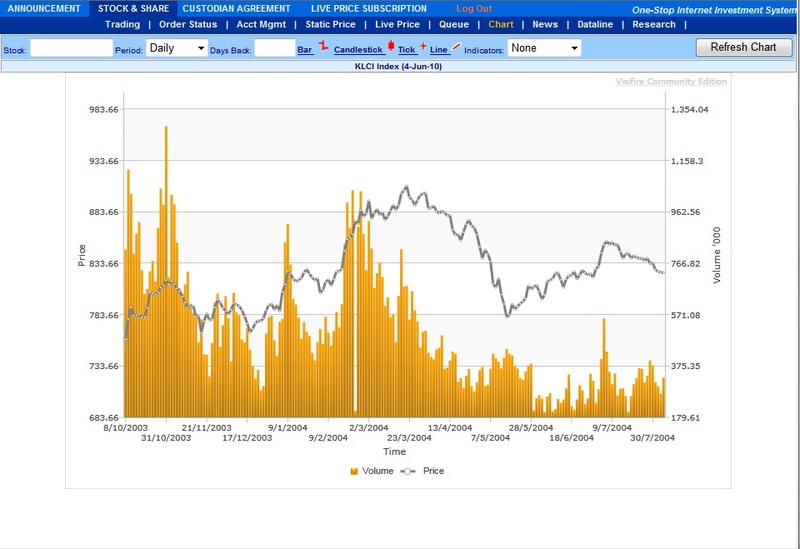 View Intraday and Interday Historical charts of up to ten years historical data. To view charts, enter the counter's stock symbol in the stock symbol field. If you do not remember the stock symbol, you can search for it by clicking Search. Select the period either as Intraday for Intraday charts, or Daily for Historical charts.